Forest Garden 4 x 6 Overlap Pressure Treated Apex Shed: This wooden shed from the Forest Garden range is factory pressure treated to give it a long lasting finish that will last for many years in the garden and is backed up with a 15 year anti rot guarantee. This shed has the option to have no window at all for added security or 1 x polycarbonate window to let some light into the space. This shed is constructed with a traditional apex style roof and has rough sawn overlap boards that are square cut to help rainwater run off the sides. 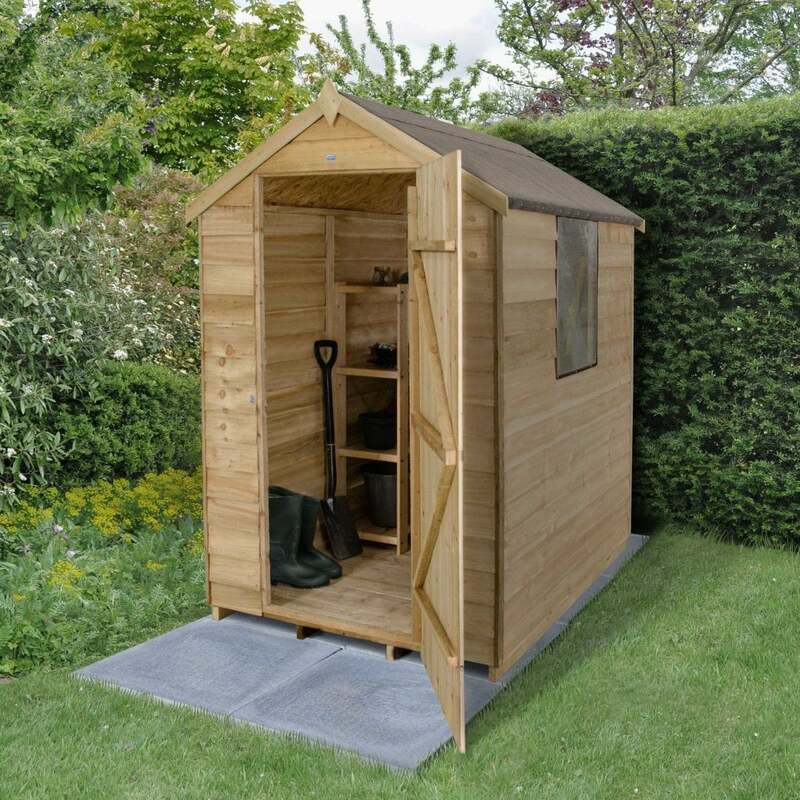 This shed will provide you with a handy space for storage that will not take up too much of the garden if space is at a premium and is suitable as a standalone or against a wall or fence. This garden shed will be delivered flat packed and requires simple self-assembly. The timber of the shed is FSC certified from a sustainable source.